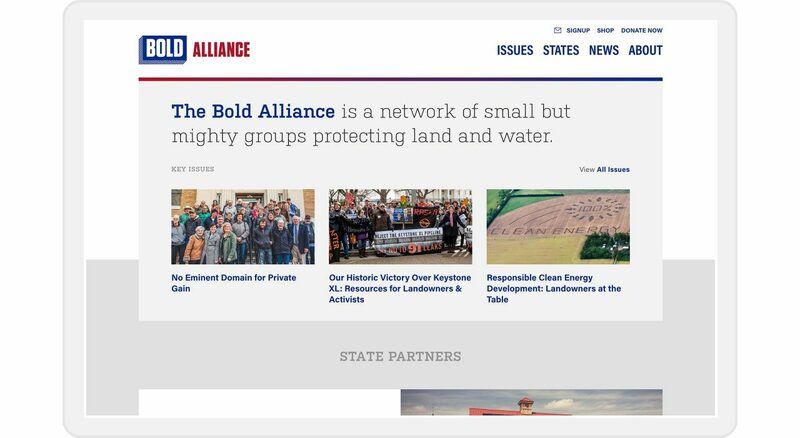 A network of small and mighty groups in rural states protecting land and water. 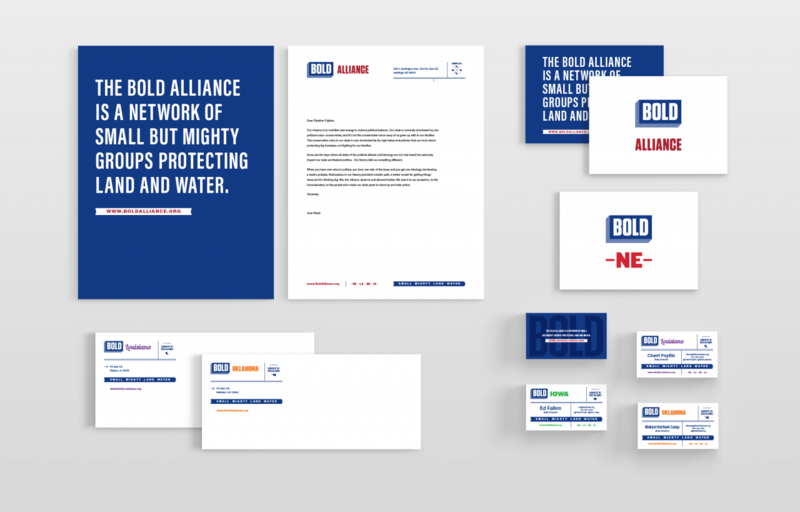 The Bold Alliance is a force of climate change champions from the Heartland to the Gulf. 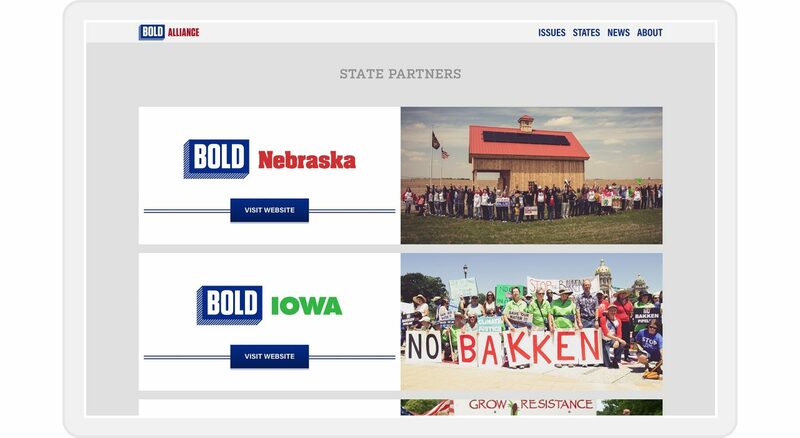 They fight fossil fuel projects, protect landowners against eminent domain abuse, and work for clean energy solutions. 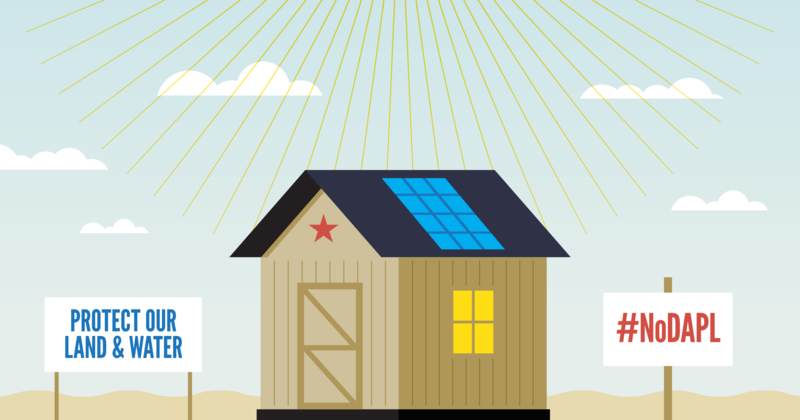 They build an engaged base of citizens who care about the land, water, and protecting the environment. 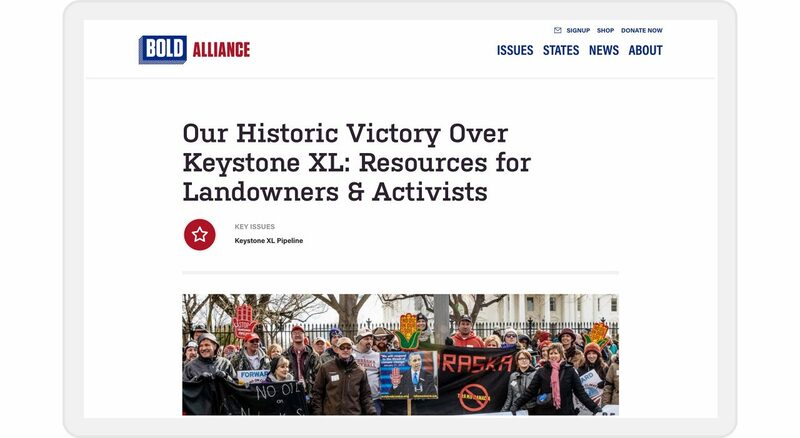 They work with unlikely alliances of farmers, ranchers, fisherfolk, Tribal nations, and progressives to stop risky fossil fuel projects with the grassroots style used to stop TransCanada’s Keystone XL Pipeline. 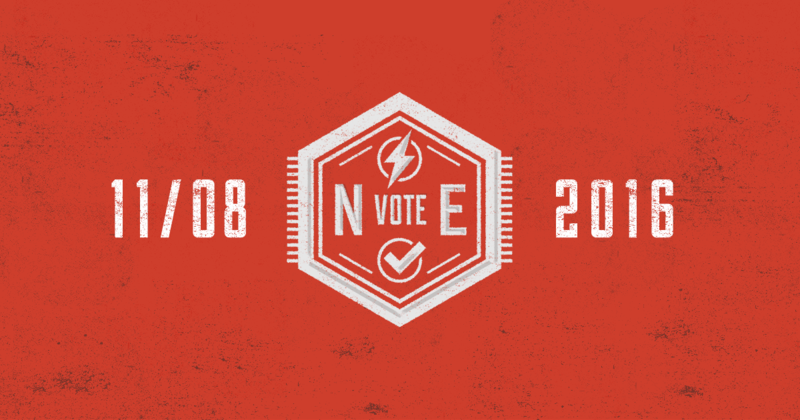 Evolve the Bold Nebraska brand to elevate the Bold Alliance idea and allow for multiple state-based organizations to exist underneath. 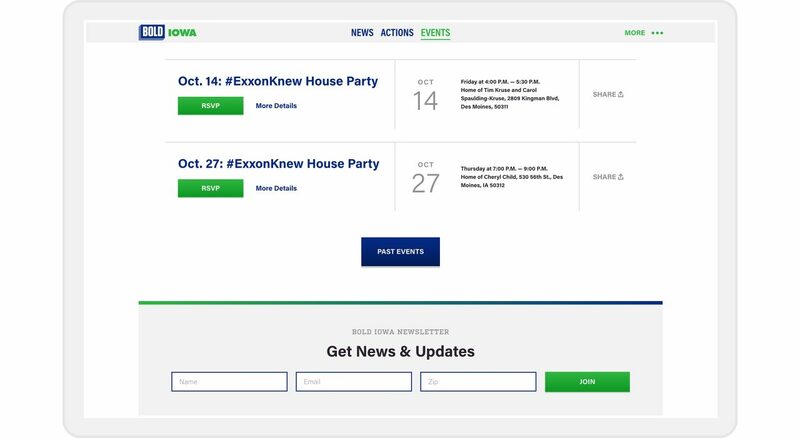 Create a family of websites to connect states together and provide visitor’s with the info needed to take action. 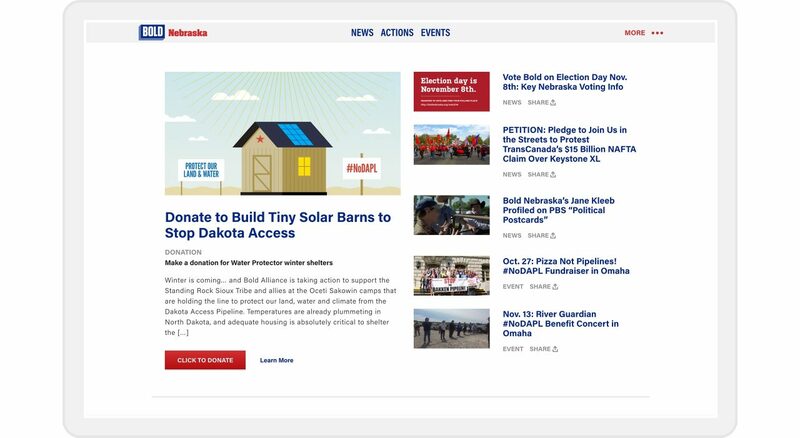 The websites should work together and individually to move people to action. We kept the core concept of the original Bold brand intact. The “Bold Block” remains the cornerstone visual. 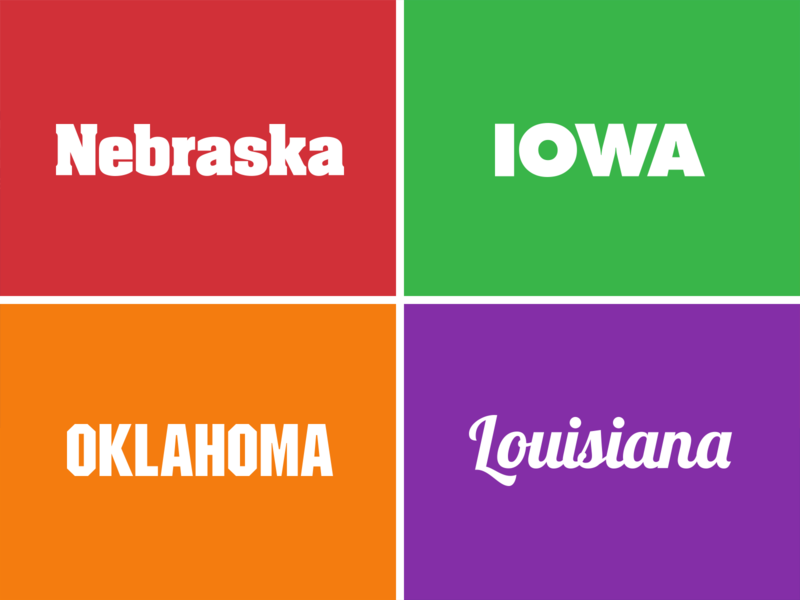 We matured the Bold Alliance color palette and introduced state-centric colors and logotypes. 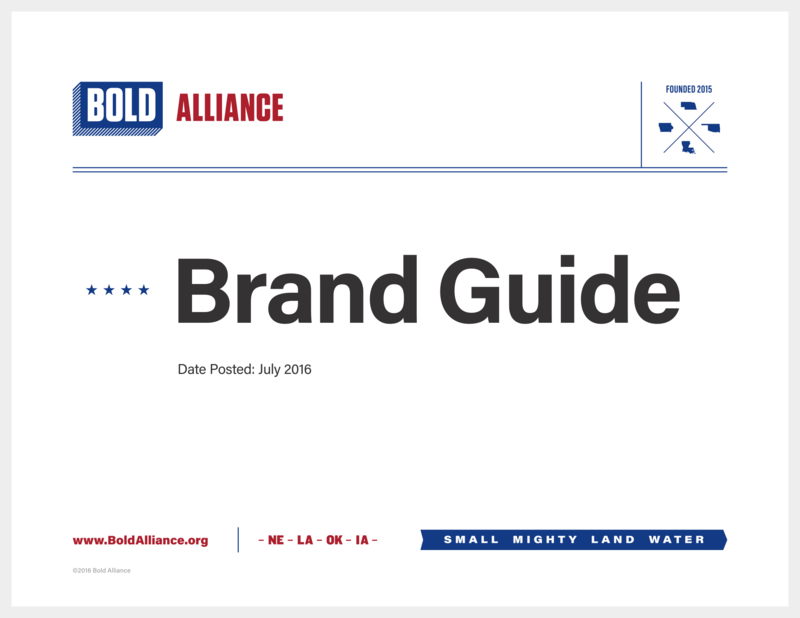 The final set of deliverables we executed for each brand included a complete logo package for print and web, stationary, social media graphics, and basic brand and social media guides. 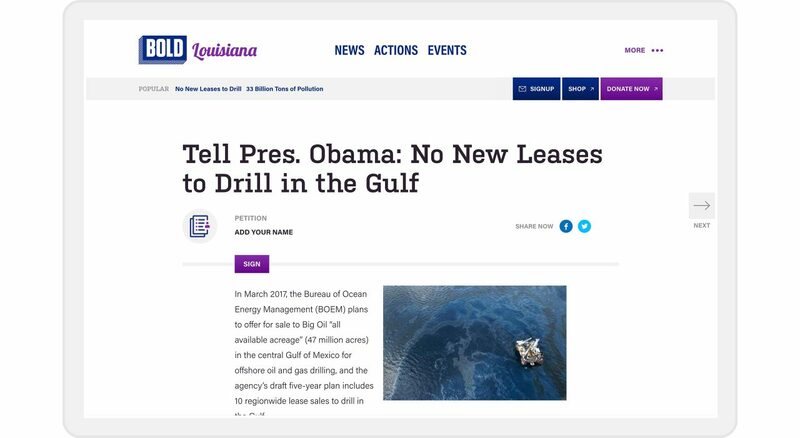 Then it was onto the website. 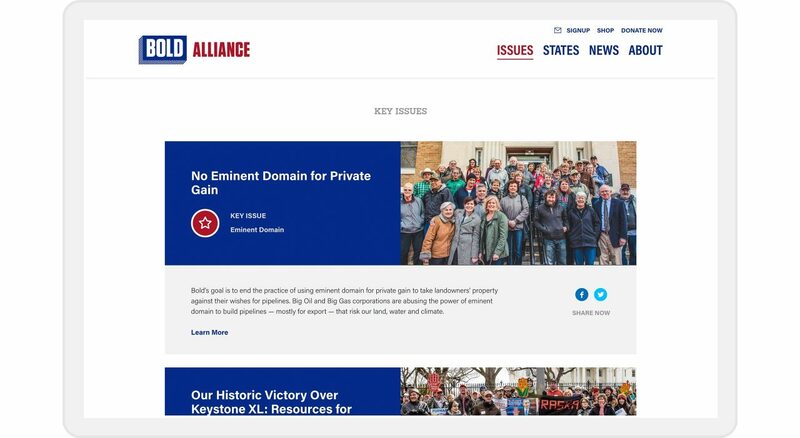 We want each website to offer a structured flexibility in terms of uniting the Alliance together while still allowing each state’s issues to lead the way. 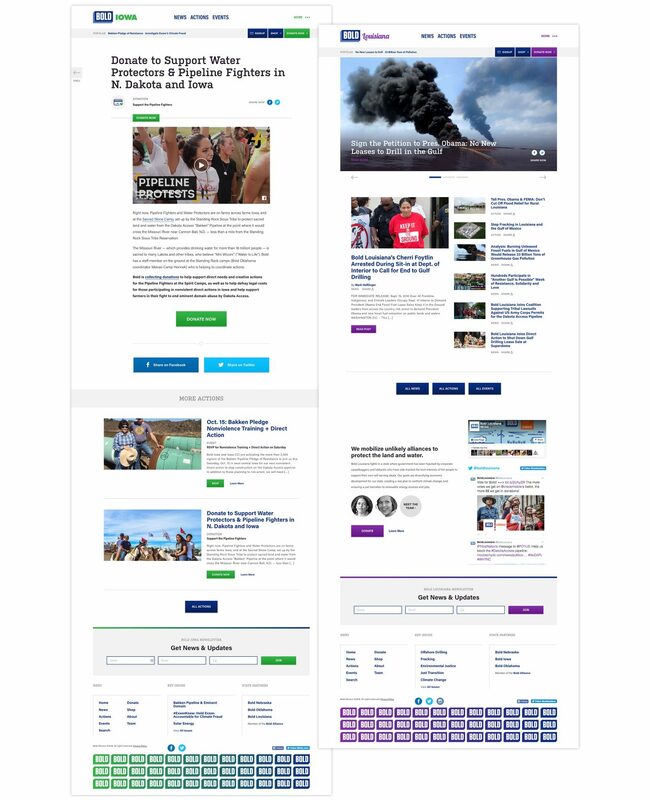 We see this as an activist-centered theme that lays out the Alliance vision and informs visitors to the site with appropriate news and actions. 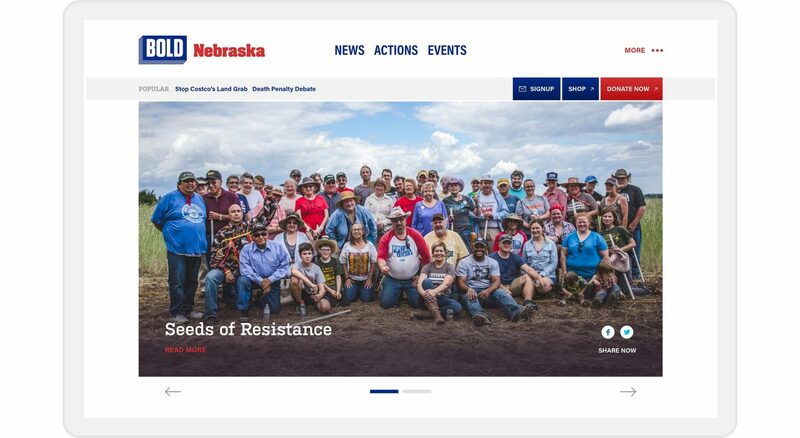 In 2013, the Bold Nebraska website was redesigned and developed to the standards of the modern Web. 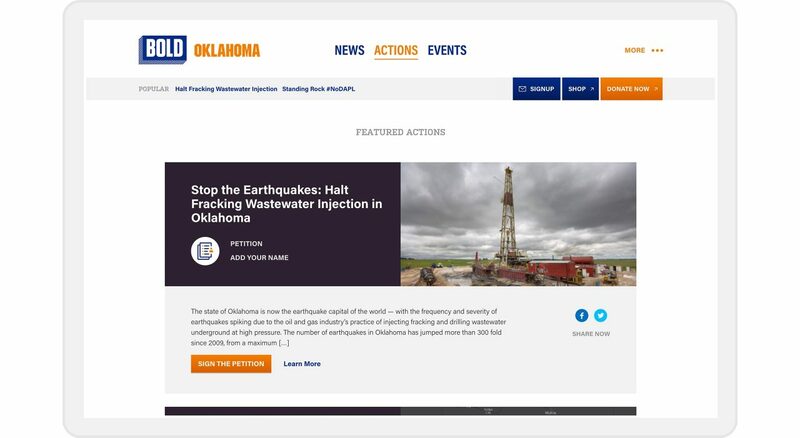 It was made fully responsive and migrated over to Wordpress for its CMS. 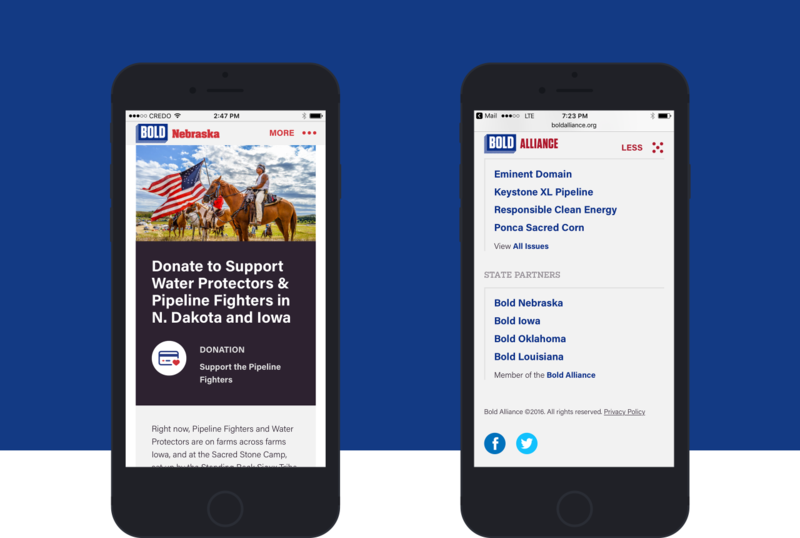 The site became an important hub for progressive news and actions in the state and was the backstop for numerous campaign efforts from the #NOKXL fight to GOTV efforts. 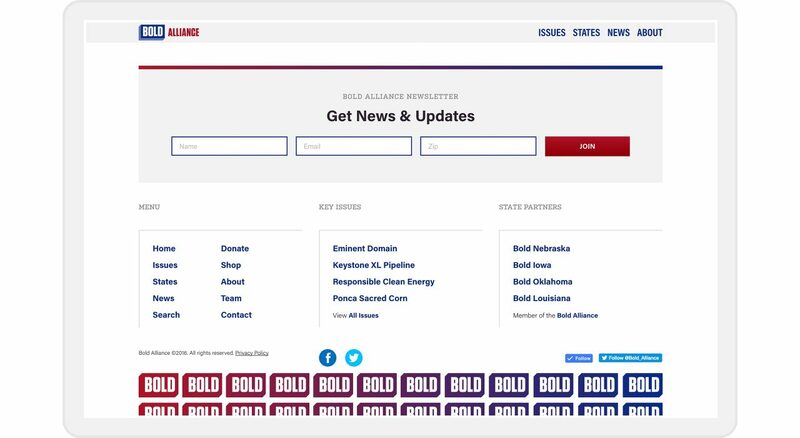 Over the years, Bold has proven to be an extremely effective progressive group dedicated to clean energy and a bright future. 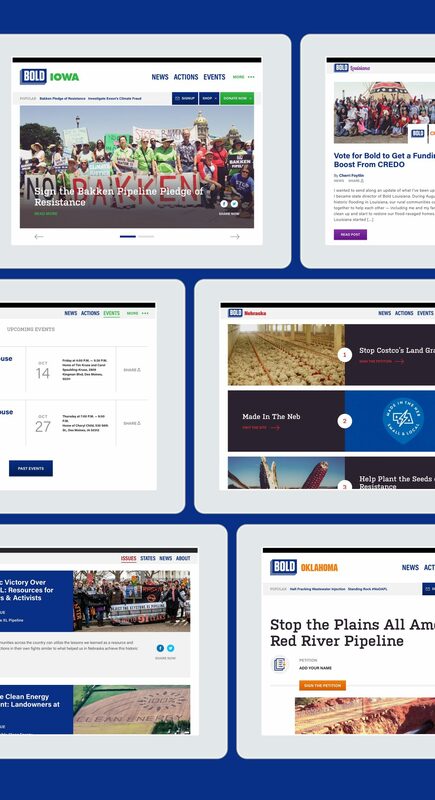 With the new brand and website presence now launched into the world, we’re excited to see what lies ahead. 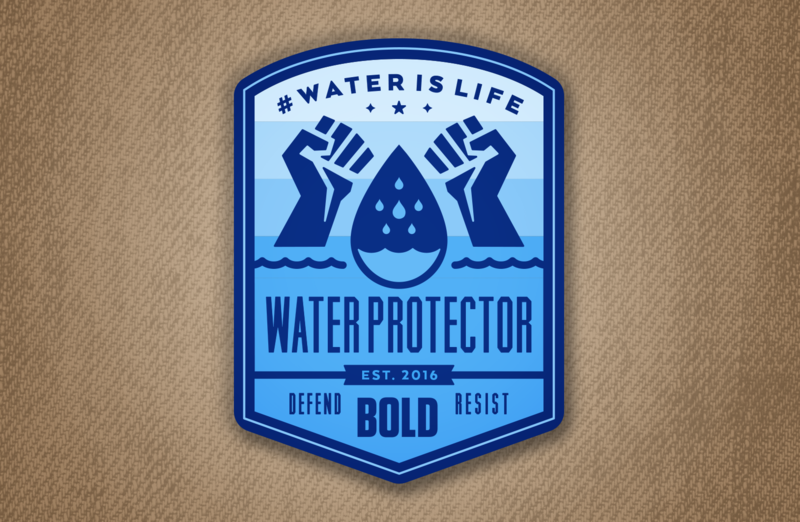 Join the Bold Alliance in the fight to protect our land and water. 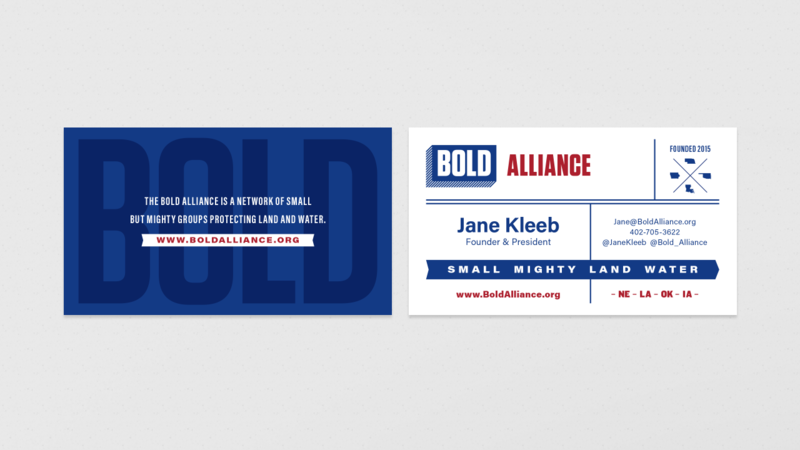 Facebook Twitter Email Small & Mighty, Land & Water.